Hello everyone. I hope you are able to enjoy a wonderful weekend?! Maybe you are in the mood for the next chapter 'Samantha' ? Enjoy! After dinner Casey offered to help his mother with the dishes but she shook her head. "Thanks, but no. You go into the living-room with Zeke and your dad. That is why you are here for, isn't it?" "At least I hope so!" Zeke felt Casey's questioning eyes and smirked reassuring. Though he felt still uneasy to talk about his problems with Mr. Connor, he would give it a try because he knew how much it meant for Casey. He had full confidence in his father - and of course he could - the Connor's would always be there for their son. Zeke did only hope that he wouldn't end up deeply disappointed when his father outright said 'No!' to him, Zeke Tyler. "So, let's have a talk then," his father stepped in. "Your mom has told me you are in trouble?" "It's not me," Casey corrected him. "It's more about Zeke. But we really could need your advice." "Well, I don't know if I will be able to help him. You know, I'm really busy in the moment. There are still two files I need to work through today and ..."
"Frank," interrupted him Mrs. Connor. "Do at least listen to him. You can spare a few minutes, don't you think so?" "No, it's okay! I get it!" Zeke shrugged and looked at Casey apologizing. "Of course your job is much more important than my stuff! Is it okay when we try to catch the next bus to Columbus, Case? I guess, I would prefer to go home!" "No, we can't," Casey protested. "We need some help. Do you remember, this is not about us. Samantha needs you now. Do it for her!" "I'm gonna find another way," Zeke said. "Like I said, I can call the DCFS and ..."
"Who is Samantha," Mrs. Connor asked. Zeke turned to her and hesitated. For a moment he thought about it to lie and then to get out here. It had been a stupid idea. But she had been nice to him. At least she deserved the truth. Casey was sitting close beside him on the couch and Mrs. Connor had taken place in the chair opposite him. She watched him with curious but warm eyes. This made it easier to ignore Mr. Connor who had put on a deadpan face. Zeke could imagine how it must feel to meet him at a court room. Poor defendants. "I didn't know about her until I got the letter a few days ago," he told her. "When I left her mother I didn't even know that she was pregnant. And she never told me until ..."
Finally it was out. Now he could tell her the rest of it too. The truth about everything he had done. He didn't try to make it better, he didn't lie to her. "This poor girl," Mrs. Connor murmured. "I hope she finally decided to go back home? Her parents can't have been that stone-hearted and leave her alone with all this." "Going home was never an option. Kat ... what she's told me a bit about this sect her parents belong to. They have strong rules and if you don't follow them the whole community will cast you out. It was impossible for her to go back with a child. Her parents, they would have taken the baby away from her ... or even worse." "What parents can do this to her daughter? What did she do then? How could she move on? She was much too young to be alone with a baby, without money, without a home." Zeke smiled slightly. At least this was a good part of the story. "She was lucky. She wrote me about it in her letter that after a while, when she almost was out of money, she was able to find a job in a little hotel. The owner were really nice to her. Didn't mind that she was pregnant. Offered her a room. And when Samantha was born they allowed her to look after her as often as she needed. She stayed there until ... Kat said, for the first time in her life she felt like home somewhere. But then, about one year ago, she started to feel sick. The owner of the hotel, they took care of Samantha when she had to go to the hospital for the first time, but ... "
"For the first time," asked Mrs. Connor. "She's still sick? Is it that because she needs your help now?" Zeke bit his lower lip. This part was worse. Casey had kept quiet all the time but now he squeezed his hand – quick and inconspicuous. But Zeke was sure that Mr. Connor would notice it anyway. Even if he looked uninterested, almost bored. From a good lawyer it was expected that he was always wide awake. Zeke couldn't care less. He looked at Mrs. Connor and slightly shook the head. "She is dead! It was an incurable tumor." For a moment it was dead silent. Then Mrs. Connor put her hand onto his arm. "Oh Zeke, that's horrible. But don't blame yourself that much, this is not your fault. You couldn't have change anything, even if you would have been there." "I don't know. If I hadn't left her at least I would have been there to take care of Samantha. That's what a father should do, right?" "Oh god, Samantha! She is ... how old? What is happened to her? The owner of this hotel, I hope she's still with them?" "No! They are almost seventy, too old to take care of her for longer. The child care stepped in and sent her to Indiana ... to her grandparents. I don't know how Kat could manage it not be mad at me. She had every right to be. 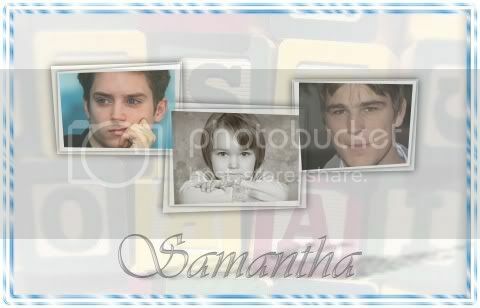 But she will never forgive me when I let it happen that Samantha has to go through the same like she did." "Indiana," Mr. Connor suddenly said. Zeke's head jerked around. It had felt okay to talk about everything with Casey's mom. She felt sorry for Kat but she didn't judge him, he could see that. But he was not sure about Mr. Connor. His face was still unreadable, his eyes almost cold, the voice sharp. "Did you go to Indiana to see her? What did you do?" I was so worn out that I didn't focus on the road ... it was just a second and it happened. Just good that no one else got mixed up in the accident." "And what do you think, what will you do next?" "I need to bring her out there. No matter how!" "Might be difficult. The Dickensons are her grandparents. I guess the child care will have made inquiries about them. And obviously they came to the conclusion that it is best for her to live with them. We don't know nothing at all about this sect and the Dickensons. They are entitled to live like they want. Even if we don't understand and don't like it. As long as they don't neglect or even abuse her the law might take their side." He had never thought that one day his father would use this against him. "This is so low, dad!" Finally he found his word's again. "Anne Catherine tried to run away from home first when she wasn't even fourteen. Zeke heard how Samantha's grandfather called her a child of a demon. You think, this is okay? Does this sound as if she is happy there?" "Case," Zeke tried to stop him. But there was no way to stop him. "Zeke is her dad," he almost yelled now. "Does he have no rights? She would be so much better off with us than with her stupid grandparents. Religious fanatics! They are a threat to her life!" "It's not that easy, Casey," has father said with a surprisingly calm voice. "We can't even be sure if Zeke actually is her father. As long as there is no proof for it her grandparents are her only living relatives before the law. And even if ... Zeke is not even twenty-three. He's still going to College. How should he be able to take care of a child? Maybe, if he would be married or at least in a serious relationship ..."
Zeke squeezed his eyes shut. This was going worse than expected. He could see the tears on Casey's face. He didn't try to hold them back any longer. "I've told Zeke you would help us, because it's the right thing to do," he sobbed. "I was such an idiot. All you do is to blame Zeke for something what is not at all his fault. He didn't make me gay, dad. I always was. And even if we will never be married, because your stupid law didn't allow it, I love him. And he loves me. If you ... if you ..."
He almost lost his voice, sobbing and trembling with anger. "If you can't accept this, I'm ... I'm gonna leave and I will never come back again!" He stormed out of the room, upstairs and banged his door shut. Zeke cursed inwardly. As if he hadn't known it before. They should have gone back to Columbus on the direct way. He had learned it early enough that the only one he could count on was he himself. Don't trust anyone and no one will ever hurt you. That had been his devise for such a long time ... before Casey. Casey would never betray him ... even if this meant to break up with his father. Zeke sighed and got up. He could imagine how he must feel right now. Casey loved him ... but he loved his parents too. Apologizing he glanced at Mrs. Connor. "I will go and look after him," he murmured. But before he could leave the living room she hold him back. "He will be okay, honey. Just give him a minute, or two. Stupid dickheads, both of them!" She glared at her husband. "Frank, just a word, please!" Mr. Connor almost winced. Under other circumstances it would have amused Zeke. Good to see this again. It's been a busy weekend. Hope your's has been good. Oh, that went worse than I expected, even with Mr. C being the way he was. I just hope that Mrs. C's 'word' with her husband is effective. Oh yes, poor boys ;) But at least Mrs. C. takes their side. I love that line. Mrs. C is about to lay down the law to her hubby--can't wait for the next chap hon. You're single-handedly holding down the C/Z fic front. I would think that if a paternity test was done, Zeke WOULD have all rights. The history, his not knowing, all that needs to be taken into account. They can work it, for realz! I hope they can work it, really. Really! Poor boys - so much drama everyhwere. Wow, this got so dramatic! I had expected they would have a serious but sober family chat and work out a plan, but I didn't expect that Casey would get so worked up like that. Casey's Dad was being sensible in laying out the difficulties and he didn't mention Zeke's being gay. But I realise that Casey is feeling very sensitive and the mention of marriage may have set him off. It is a terrible thing to be living in a place and time when the love you feel is not accepted and so all his inner turmoil over that issue may have bubbled out. But they need to keep focused on Samantha and only a good lawer can prepare them for the challenges they need to face. I love Casey's outburst here, since I think it's aft. Although we all know, I suppose, that there isn't exactly much use in yelling at your parents... It's fun to see Mr Connor "almost wince", because I can picture Mrs Connor, in serious mother hen mode, setting his head straight, and I doubt this is fun.